October Old-Time Week focuses on West Virginia’s rich traditions of old-time music. Workshops meet 9 a.m. to noon, with an afternoon cultural session each day and afternoon workshops. Presentations from master artists, evening jam sessions and much more fill out the week. Stay for the Old-Time Fiddlers’ Reunion, October 18-19, a celebration of West Virginia fiddlers. The Reunion kicks off Friday night with a square dance and continues Saturday with performances by West Virginia’s master fiddlers, a flatfoot dance contest, instrument vendors, and the Augusta Store. Tuition Guide: $490/week if paid before September 1. $530/week if paid after September 1. Housing for October Old Time Week is available at the Graceland Inn and Conference Center as well as in the city of Elkins (https://augustaheritagecenter.org/lodging). Meal cards for the week may be purchased online when you register, or you may also purchase meals individually as desired at the Dining Hall. Participants register for one workshop for the week. Each workshop builds upon information presented the previous day. Click any name below to open more details. Click again to close. As a member of The Fox Hunt, Old Sledge, The Iron Leg Boys, The Hackensaw Boys, and now as a solo performer, Ben has traveled across the country and around the world spreading his unique take on West Virginia regional old-time music. Born and raised in Romney, West Virginia, multi-instrumentalist Ben Townsend has studied Appalachian traditional music extensively. He is also a successful engineer, whose label, Questionable Records, has released popular traditional albums, as well as albums of music from genres across the board. Ben’s most recent record, Deep End Sessions, Volume 3: Ben Townsend and Friends, has recently been nominated for a Grammy Award in the Best Folk Album category. 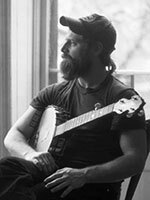 As a member of The Fox Hunt, Old Sledge, The Iron Leg Boys, The Hackensaw Boys, and now as a solo performer, Ben has traveled across the country and around the world spreading his unique take on West Virginia regional old-time music. Born and raised in Romney, West Virginia, multi instrumentalist Ben Townsend has studied Appalachian traditional music extensively. He is also a successful engineer, whose label, Questionable Records, has released popular traditional albums, as well as albums of music from genres across the board. Ben’s most recent record, Deep End Sessions, Volume 3: Ben Townsend and Friends, has recently been nominated for a Grammy Award in the Best Folk Album category. practice methods that will improve playing and confidence in a practical manner as well as techniques for playing confidently whether alone, on the stage, or in a jam setting. The beginning banjo workshop will be tailored to meet the needs of students enrolled. It will led in a way that allows all students, regardless of experience/proficiency, to thrive. All tunes will be presented in their basic form, learned by phrase, and will also be presented will variations. This will allow students to both progress at their own rate and continue progressing as their playing grows throughout the year. 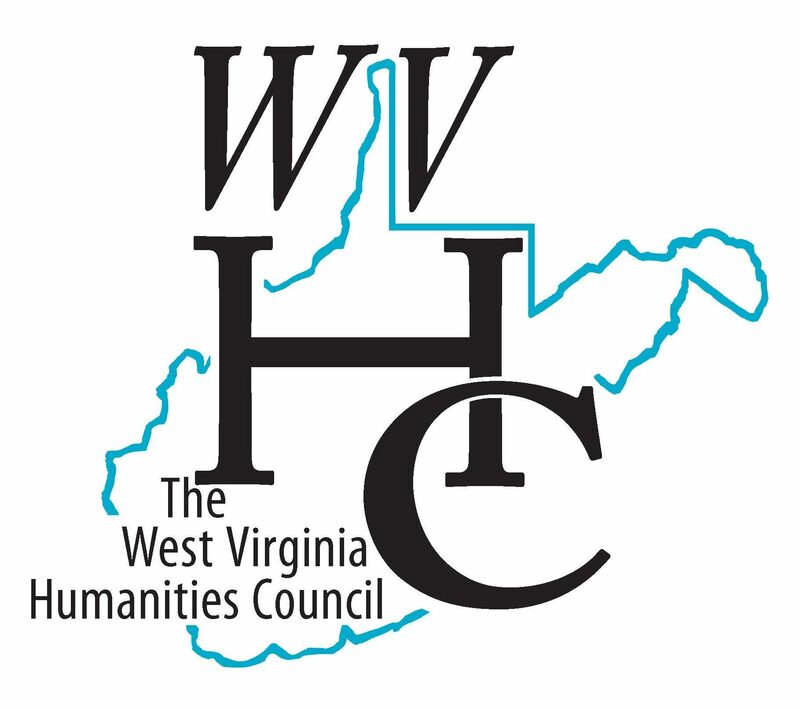 Tunes presented in this workshop will primarily focus on versions from West Virginia fiddlers and banjo players. However, we will also learn about some tunes and styles of old-time musicians from Kentucky and Ohio. In addition to bringing a banjo, students will also want to bring a tuner, extra sets of strings, a pencil, and paper or a notebook. Students are encouraged to bring an audio or video recording device so that individuals can revisit the tunes and techniques presented throughout the week. Christopher W. Dean, (cwdeanbanjos.com) born and raised in Berkeley Springs, West Virginia, has been immersed in West Virginia old time music since his formative years. 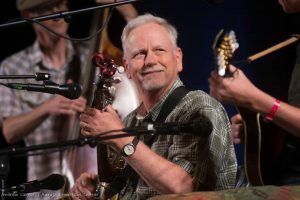 His first memories of old-time music come from hearing seeing Andy Boarman perform at school, and the Critton Hollow Stringband performing in and around Berkeley Springs. 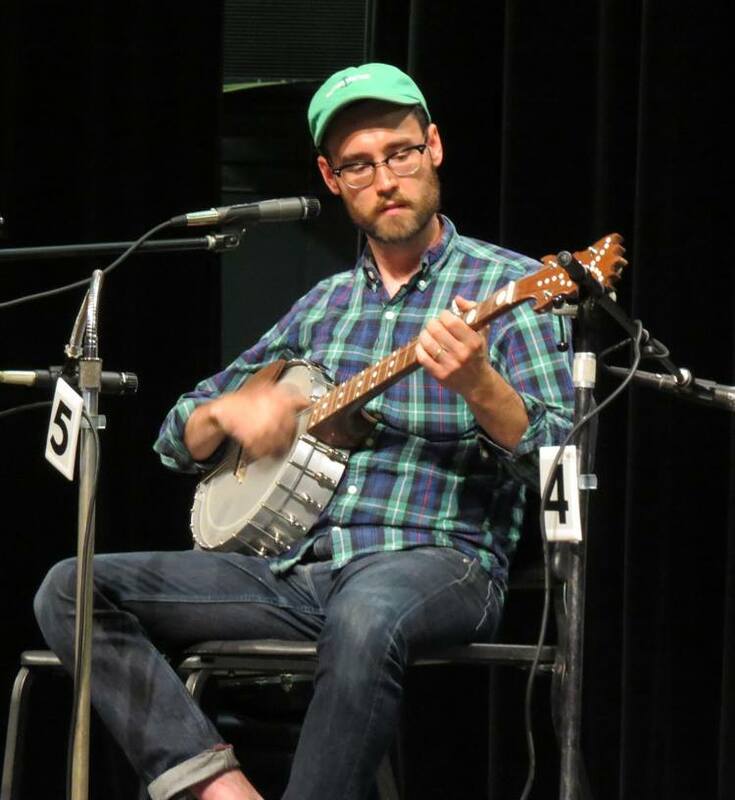 Christopher has been studying West Virginia banjo styles for the past fifteen years, learning primarily from Ben Townsend, Tim Bing, Andrew Dunlap, and Reed Martin. Christopher’s unique technique has also been influenced by mentors including David O’Dell, Jim Costa, and John D. Morris. 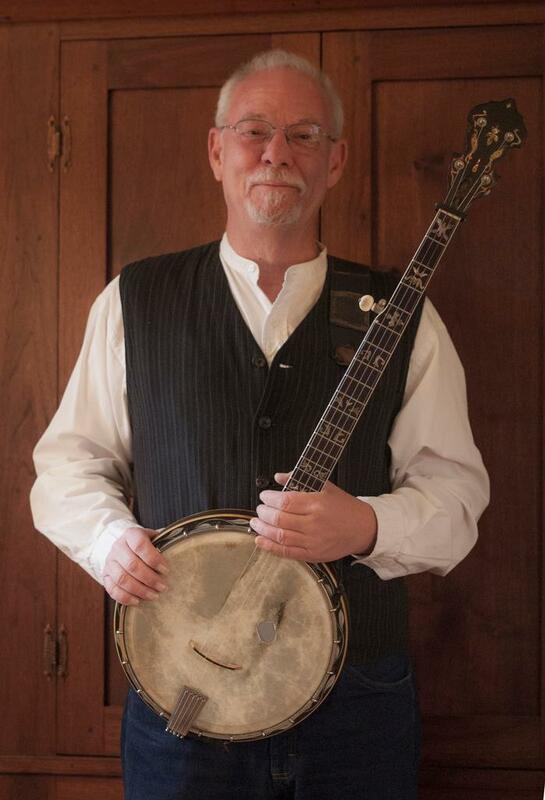 As a banjo player, though, his style has been primarily influenced by many of the great West Virginia fiddlers such as: Israel Welch, Harvey Sampson, French Carpenter, John D. Morris, Clark Kessinger, Ernie Carpenter, and Melvin Wine. In addition to playing and teaching banjo, Christopher has spent the past decade studying the work of Clay County banjo maker and woodworker, Jenes Cottrell. Chris is working to document each banjo made by Jenes and has also built 12 banjos inspired by Cottrell banjos. Two of which, were donated to the West Virginia State Folk Festival to raise funds for the event. In 2016, Christopher was invited to The Banjo Gathering, to give a presentation about Jenes Cottrell and his banjos, entitled “All Hand Work”. Christopher is currently working on two projects. The first, a Townsend and Dean project, Hell on the Potomac, will be a banjo and fiddle album focusing on the fiddling styles and stories of old- time music in West Virginia’s eastern panhandle. The second, in development, is a podcast that will focus on current West Virginia Old Time musicians and will be produced using a Presto K-8 record lathe, 16mm film, and other vintage forms of archiving, in addition to the digital archival methods of today. 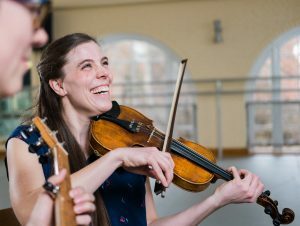 The intermediate workshop will introduce students to a variety of clawhammer techniques and tunings that will help them to advance their playing using banjo tunes, fiddle tunes adapted to banjo, and song accompaniment. Drop-thumb, hammer-on, pull-off, and slide techniques will be covered. Participants will work on combining “drive” and melody, work on a few tunes that have different syncopations within the clawhammer style, and play chord-based licks to support singing. Participants should bring a banjo, capo, extra strings, and recorder. The basis for learning will be by ear and by watching, not by reading tablature. If possible, bring a battery-operated recorder as sometimes outlets are sparse or not available, depending on our workshop location. I look forward to seeing you this fall. Ron Mullennex grew up in the 1950s – 1960s in an eastern Randolph County, WV, community that had retained an active old-time music and dance tradition. He began playing in that tradition with family and neighbors in his early teenage years. As an adult, his work has taken him to the southwestern Virginia and southern West Virginia area where he continued to seek out and associate with the older generation of musicians. He has won numerous contest awards, taught many times at the Augusta Heritage workshops, received a Lifetime Achievement Award by the Tazewell County Old-time and Bluegrass Fiddlers’ Convention, and performed with the band Gandydancer throughout its existence, along with other bands. His banjo playing is featured on several anthologies as well as his own and Gandydancer’s recordings. His music and influences have been discussed in a Banjo Newsletter article (April 1999) by Bates Littlehales. His principal interest is in the traditional music of the two Virginias and much of the repertory of the class will be drawn from there. For more than three decades Bob Shank has been a benchmark for American banjo players. Not bluegrass or old-time, or classical or ragtime, but all that and more. A sixth-generation West Virginian, Bob began his musical journey at age 5 with drums and piano and by age 13 he was firmly hooked on banjo. And then guitar. And then hammered dulcimer. And an abiding rock and roll sensibility. That all led to the formation, with Sam Morgan, Mark Walbridge, Pete Tenney, and Glen McCarthy, of the successful crossover band, Hickory Wind. Hickory Wind’s fusion of various traditional musical forms over (and under) layered with rock rhythms and fills got them all the way to opening for some of the best known acts of the time, including Steely Dan, John Prine, Emmylou Harris, and Jackson Brown. As Flying Fish recording artists, the band toured 30 American states and 20 countries in Europe, Africa, and the Middle East, recording three very favorably reviewed albums in the process. A new compilation of previously unreleased Hickory Wind material, No Fish Today, is available from CD Baby. All that traveling has a price and the boys eventually paid it, each going off to try and build real life and family. Bob’s efforts led him to academia and then the corporate world, where he co-founded a medical records software company. That, of course, led once again to more-than-desirable travel. Over the last few years Bob returned to his musical roots, writing and recording his own original music that in his words, “retains the traditions of Appalachia but ventures beyond the front porch.” Bob’s new CD, Don’t Worry About the Moon, was released by Bob’s Otter Slide label and recorded in his rural West Virginia farmhouse studio. It is an ambitious exploration of musical genres on solo banjo and more complex arrangements performed by his one-man-band, the Big Otter Orchestra. He plays several banjos on the CD including a vintage Weymann, a thoroughly modern Nechville Phantom, and a cello banjo with a Gold Tone pot and Wyatt Fawley neck. He also plays acoustic and electric guitar, hammered dulcimer, piano, and percussion. He built the studio computer used to record it, and engineered, mixed, and mastered the CD. Bob performed on NPR’s internationally broadcast Mountain Stage, have a listen. He has been an invited guest at West Virginia University’s annual World Music Concert and has been a Master Artist at the Augusta Heritage Center’s Spring Dulcimer Week, the Upper Potomac Dulcimer Festival, and Allegheny Echoes. Bob won first place old-time banjo at West Virginia’s celebration of traditional arts, the Vandalia Gathering. He can also tell a story as only an Appalachian can. 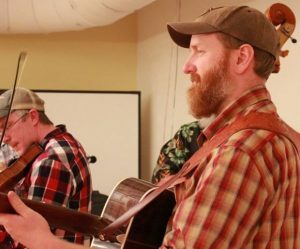 Beckley native Hunter Walker has been in demand as a teacher and performer in Appalachia and surrounding areas in recent years. He has performed at prestigious venues such as Theatre West Virginia, the Vandalia Gathering, and Mountain Stage. While proficient at guitar and mandolin, he is best known for his virtuosity and innovation on the banjo and mountain dulcimer. His skill on the dulcimer has merited him the titles four time WV State Dulcimer Champion, TN Open Grand Youth Champion, three time Galax Old Fiddlers’ Convention Dulcimer Champion, Mid-Atlantic Regional Dulcimer Champion, as well as numerous other first place finishes at Fiddlers’ Conventions. When Hunter is not teaching, you may spot him jamming at festivals. He is excited to see the rich Appalachian music heritage passed on. What makes regional fiddle styles stand out? It is not just the notes themselves, but the combination of phrasing and nuance within the bowing that brings tunes to life. 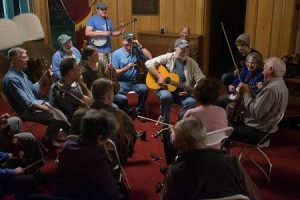 In this workshop, we will take a close look at old-time fiddle bowing patterns and learn some key bowing techniques within the context of Greenbrier Valley fiddling traditions. The goal of this workshop is to lay a foundation that participants can continue to build on as they increase their skills over the years to come. All tunes will be taught by ear and demonstration, and an audio (and / or video) recording device is encouraged. Participants are expected to arrive with a fiddle and a willingness to learn. Depending on the class size and participant skill level, we may spend some time on fiddle basics, tuning, care, and maintenance. Please feel free to reach out with any questions to anne.l.stroud@gmail.com. Originally from Greenbrier County, West Virginia, Annie grew up surrounded by traditional music and dance. She got her first taste of old-time and Irish music traditions from Suite Contra Band, the Lewisburg dance band her parents played in throughout her childhood. Though trained classically starting at age 9, she fell in love with old-time music and dance through regional folk festivals (like Augusta!). She played with the Seaside Farmers in Homer, Alaska, and after returning to West Virginia formed The Allegheny Hellbenders which continues to play square dances and shows around WV, Ohio and Pennsylvania. The Allegheny Hellbenders will be releasing their debut album later this year. In 2018, Annie had the opportunity to spend a year with Doug Van Gundy as a WV Folklife Apprentice focusing on the fiddle tunes and styles of West Virginia’s Greenbrier Valley, specifically the playing and repertoire of Mose Coffman, Lee Hammons, Henry Reed, and the Hammons Family. She currently resides in Charleston, West Virginia with her two border collies, Red and Ira. Dave Bing’s first Augusta experience was in 1983 when he and his brothers performed in concert for Old-Time Week. Two years later, he began teaching beginning fiddle and has taught every year since, developing his style of teaching to include all aspects of West Virginia fiddling. Dave began playing guitar at five years old, banjo in his mid-teens, and fiddle soon after. He was lucky to learn from several old-time fiddlers who had different styles, and he incorporated them into what has become his own style of fiddling. Dave has performed and taught old-time fiddle and banjo internationally with annual workshops in Spain and England. His style of teaching focuses on the rhythmic bowing techniques, different left hand methods, dynamics, and timing that make an old-time fiddle tune more appealing to listen to and more fun to play. 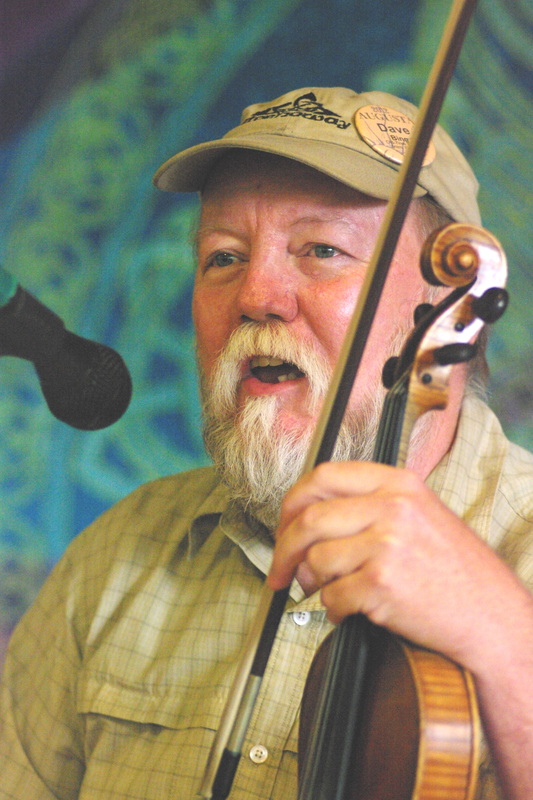 In addition to teaching, Dave currently plays and performs with the trio High Ridge Ramblers. He now lives in Roane County, West Virginia, with his wife. He plays on his tractor on their farm, plays and teaches old-time West Virginia music, and builds violins. Rachel Eddy is a native of West Virginia who grew up in a musical family steeped in the traditions of Appalachian music and dance. Now based in Washington, D.C., Rachel is known throughout the world as both a dynamic, emotionally powerful performer and an engaging, thoughtful teacher. 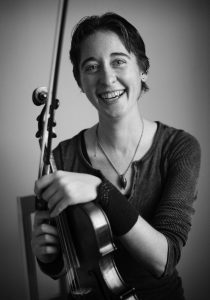 Rachel’s soulful singing and multi-instrumental finesse—including fiddle, banjo, guitar, and mandolin—may be heard on numerous solo and collaborative recordings as well as at dances and jam sessions, where Rachel is dedicated to fostering community and sharing a love of music with others. Rachel’s performances, workshops, and festival appearances have featured both a creative range as a soloist and an energetic engagement with fellow musicians part of various ensembles, including the Ken and Brad Kolodner Quartet, the Early Mays, and a European tour with Uncle Earl. Rachel has shared a passion for music at the Alabama Folk School, Augusta Heritage Center, Common Ground, Kauffman Kamp, Nashville Fiddle and Banjo Camp, Sore Fingers, and many others. While living in Sweden from 2008-14, Rachel invigorated the Swedish old-time scene and inspired dozens of people to take up Appalachian music and dance. Always up for new artistic challenges, Rachel is collaborating on the soundscape for, and performing in, the Indiana Repertory Theatre’s 2019 performance of Amber Waves. As the son of a West Virginia old-time musician, Rory was surrounded from birth by West Virginia old-time music and musicians. He learned to play guitar from his father and grew up playing with and learning from West Virginia musicians during home visits and at festivals across the state. Rory’s guitar playing, especially his chords selections, were heavily influenced by these opportunities and by West Virginia bands such as the Bing Brothers and Gandydancer. Currently living across the state line on a farm in Giles County, Virginia, Rory plays frequently with various regional musicians and bands for performances and square dances, and helps lead learning jams in surrounding communities. 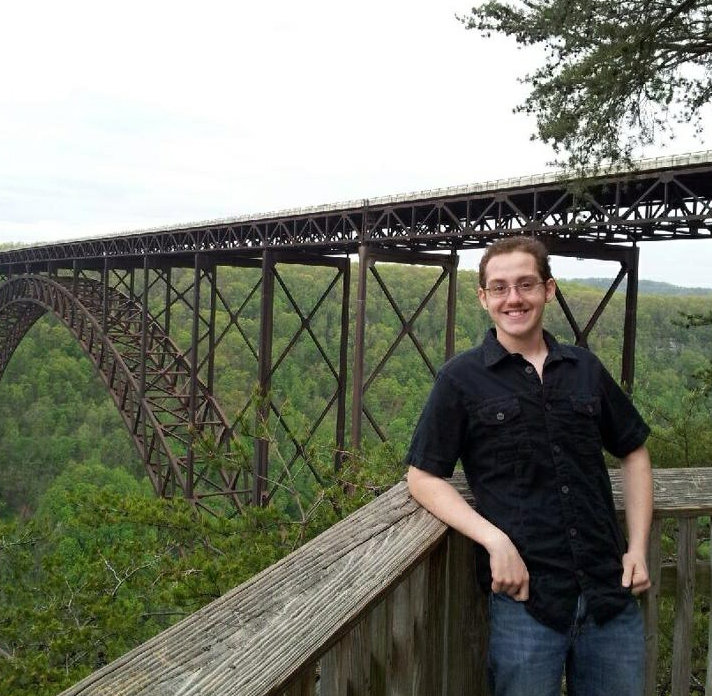 He attends fiddlers’ conventions throughout the central Appalachians and Blue Ridge Mountains, and is a sought after rhythm guitarist for band and individual instrument competitions.